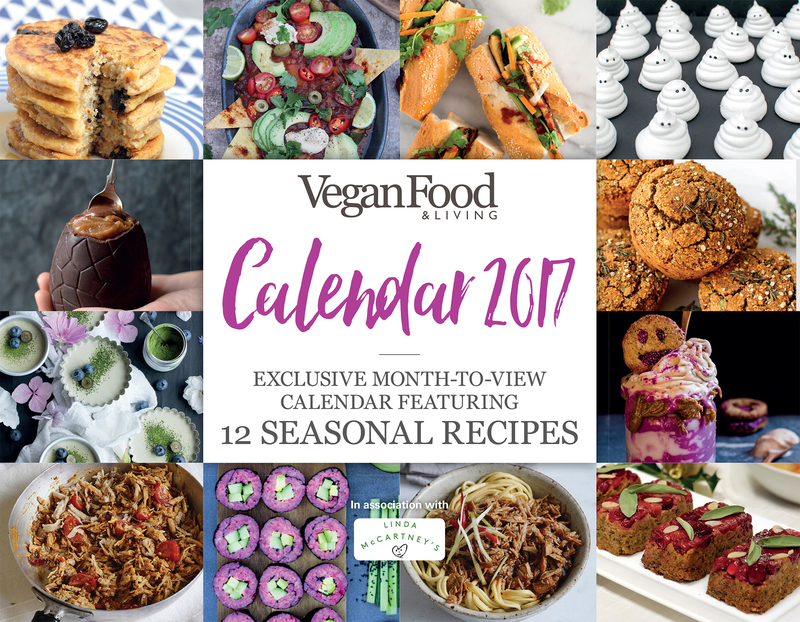 Vegan Food & Living December on sale now! The issue is packed with 75 seasonal recipes ranging from pecan and mushroom Wellington and tempeh and parsnip stuffing to gingerbread wreath cake and bite-size Christmas puddings. Also this issue we show you how to make edible treats and lovely skincare to give as gifts to family and friends, put together a moreish cheese board with four homemade vegan cheeses, find out more about ethical alcohol, and indulge in a chocoholic’s paradise with a special chocolate recipe section, a feature on why cacao is good for us, and a chocolate taste test! If that’s not enough, this issue comes complete with a FREE 2017 calendar, in association with Linda McCartney Foods, featuring 12 delicious seasonal recipes. Get your copy today! 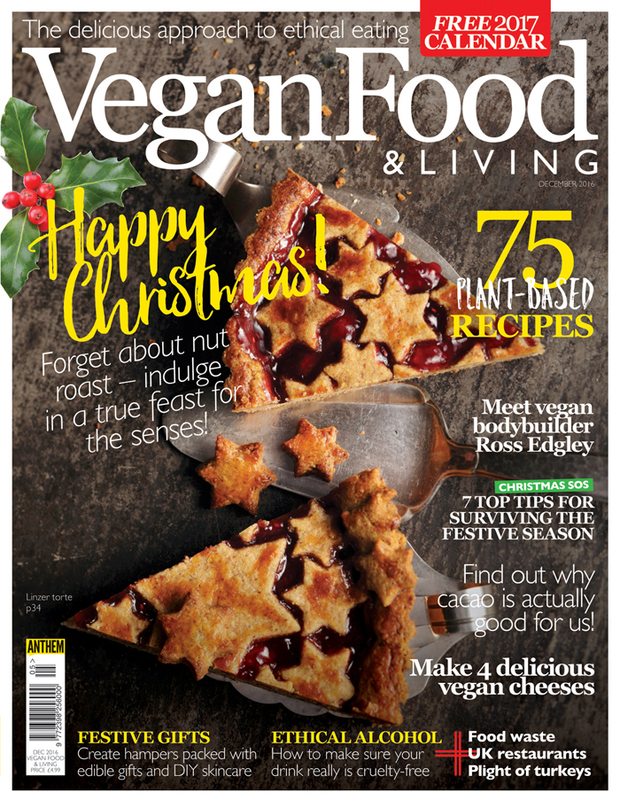 Pick up your copy of Vegan Food & Living from selected Sainsbury’s, Waitrose and Tesco supermarkets, as well as WHSmith, Hobbycraft and independent newsagents or order online from us here. You can also download the digital edition here.